Technology Peterborough | Home | Pre-Tel Services Inc.
We sell, install and service cutting-edge technological solutions for your home and business. Pre-Tel Services offers a full range of professional electronic solutions that fit your budget, from pre-wiring to home automation. Our team is well known for its expertise in the latest technology available to Peterborough and the surrounding areas. There are so many new and exciting technologies available: home theatre, security systems and surveillance, central vacuum, telephone systems, lighting controls and shading solutions. 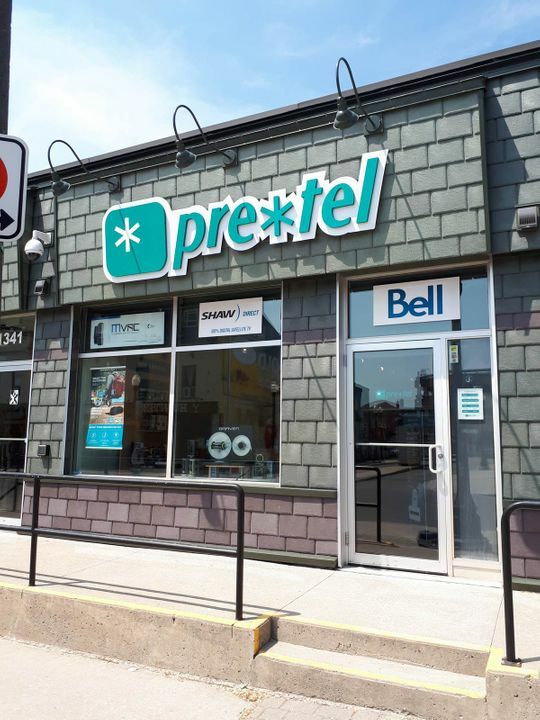 Whatever you need, you can count on Pre-Tel Services to get the work done right! The Stryde 360 Bluetooth speaker fires loud, pure audio on all cylinders. Designed to go where you go, it easily fits in cup holders and water bottle cages, and is a lightweight addition to backpacks, sport bags or purses. Its certified waterproof exterior is ideal for the pool or beach and the built-in voice control works with your smartphone to give a command or make and take calls hands-free. The BRAVEN 105 is a palm-sized speaker that blasts with full body sound. Part of our Active Series, this lightweight and durable Bluetooth speaker is completely waterproof, and can be attached to sport accessories, belt loops, handle bars and more using its versatile elastic strap 1/4 inch thread mount, or included Action Mount. Experience wireless streaming and be amazed by the impressive volume that comes from such a compact speaker with the BRAVEN 105..
We’ve been bringing the newest technology into your home and your business, connecting with your computer and electronic devices. We have the expertise to help you with all of your technological needs! As a family owned and operated business, we take pride in helping our customers learn and enjoy their new technology. Pre-Tel Services is able to provide a full-service operation (sale, service and installation) with our quality products. Also, we showcase a variety of products and specialized services with multiple options to create the best solutions for your desired application. Get your home devices and electronic systems’ control at your fingertips. We offer state-of-the-art central vacuum systems with inlet retractable hose. From entertainment to security systems, we can pre-wire new constructions.